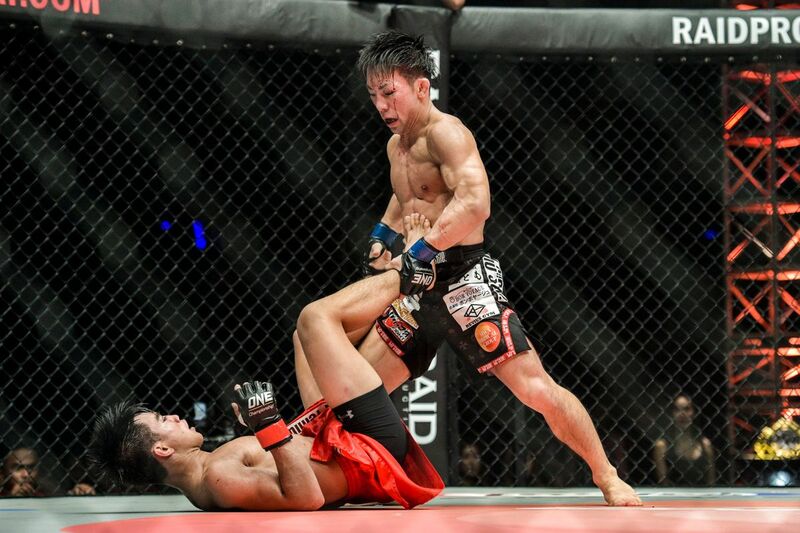 Yosuke “Tobizaru” Saruta put in the performance of a lifetime to overcome Joshua “The Passion” Pacio and claim the ONE Strawweight World Title on 19 January. 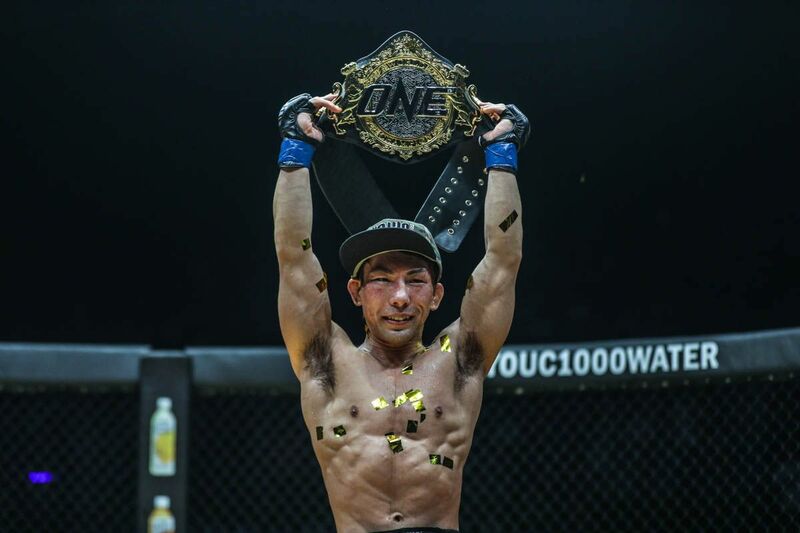 The ONE: ETERNAL GLORY main event went back-and-forth for five rounds as both men had their share of success, but Saruta’s relentless offense gave him the edge and earned him the belt after 25 minutes of non-stop action. 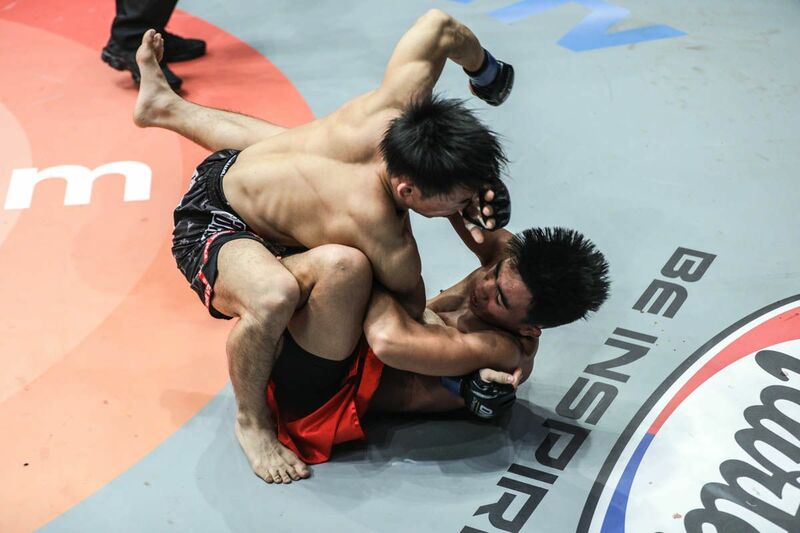 In just two bouts, the Japanese athlete has emerged onto the global stage for martial arts and become one of its World Champions, but his achievement was far from an overnight success story. His triumph was actually the culmination of 11 years of hard work and competing in the cage. “I was so happy to become the number one strawweight fighter in the world,” says Saruta. The 31-year-old challenger had his hand raised courtesy of a narrow split decision. Although he is still acclimatizing to the judging criteria of ONE’s global ruleset, he felt his offensive output throughout the contest was enough to earn victory after a hard battle. “The ONE judging is different to what I have experienced, so I was not sure whether I won or not, but I felt I fought more aggressively through the five rounds,” Saruta explains. Pacio seemed to be more reserved with his wushu striking in an attempt to stay clear of the Tokyo native’s wrestling and ground acumen. This meant that Saruta’s strategy had to change slightly. However, he was able to adjust his attack to stay true to the game plan he had formulated with his coaches at Wajutsu Keishukai Hearts gym, and get the job done. “Nothing really surprised me [about Pacio], apart from that he didn’t come to me more aggressively,” “Tobizaru” adds. “He was tougher than I expected so I couldn’t finish him. 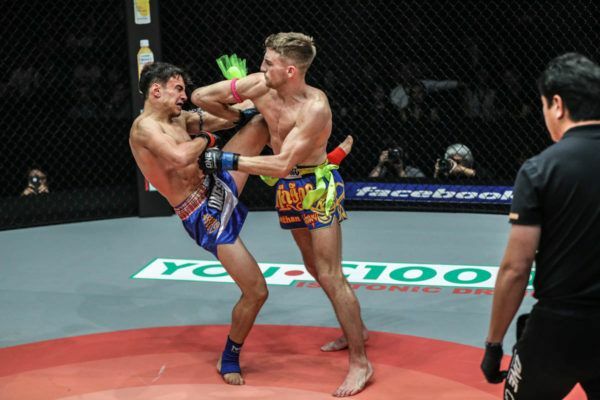 Because of the close-run nature of the title encounter, ONE Chairman and CEO Chatri Sityodtong later announced a rematch would be on the cards for these two elite competitors. Saruta is happy to take on the Team Lakay man again to solidify his position at the top, and he believes the lessons he took from ONE: ETERNAL GLORY will allow him to leave no doubt about the result the second time around. “Because the last fight was a split decision, I think we are going to have a rematch soon,” he says. 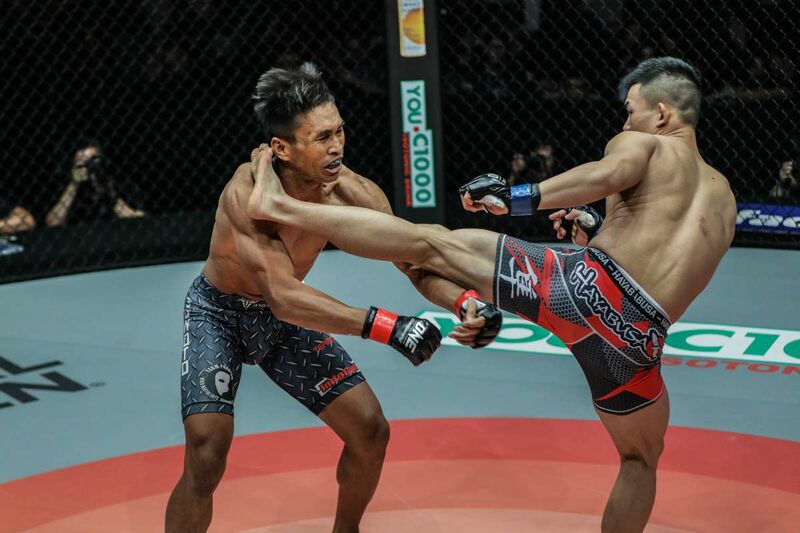 “Tobizaru” hopes that by maintaining his grip on the gold and cementing his status as the best in the world, he can help to bring prestige back to Japanese mixed martial arts. 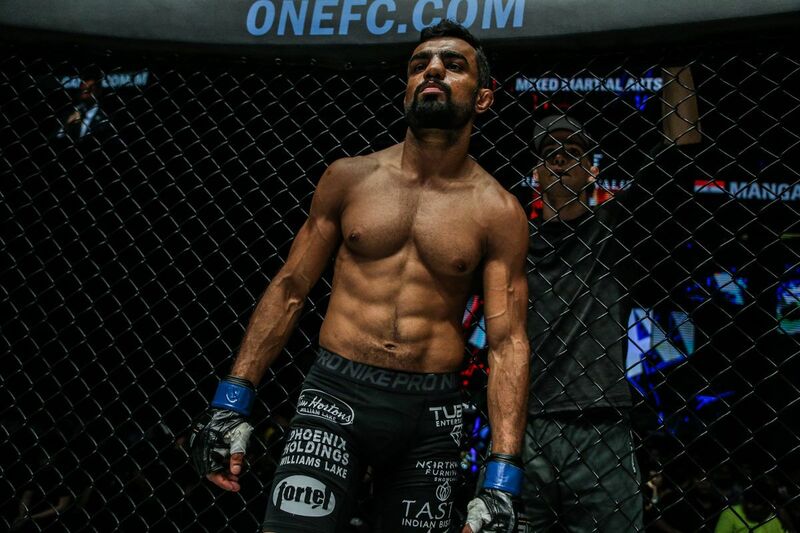 As ONE prepares for its debut in Tokyo with ONE: A NEW ERA on 31 March, he feels like it is the perfect time to rebuild awareness and interest in the sport. He adds that those efforts could get a huge shot in the arm if his subsequent World Title match could be an all-Japan affair. 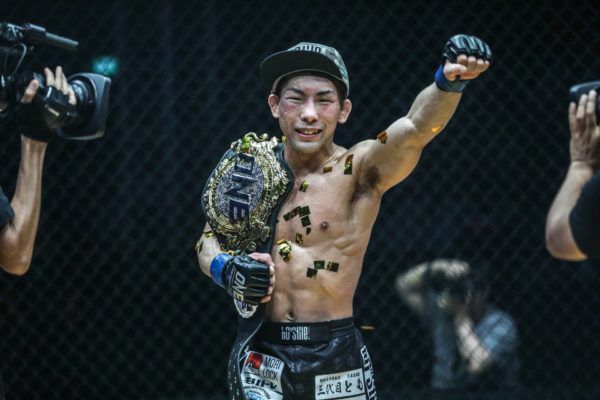 “It is a really good thing for Japanese mixed martial arts fighters because now they have the big goal to be the champion of the ONE,” says Saruta. 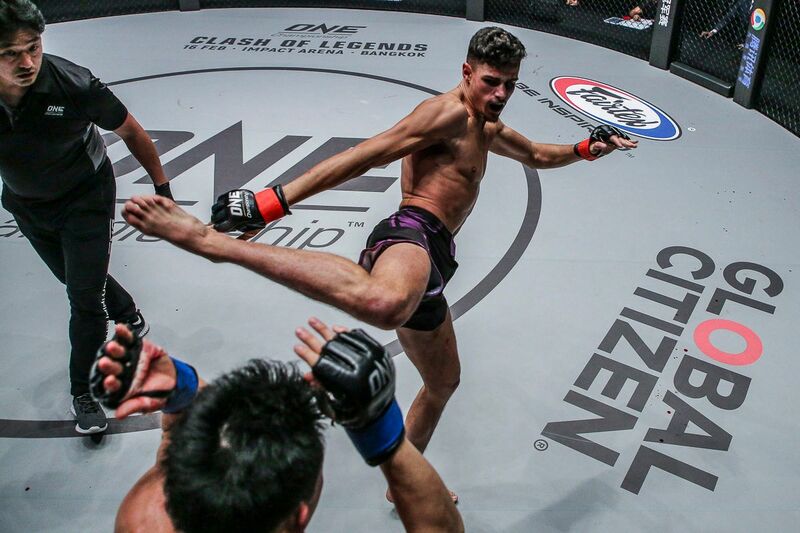 “I really want to fight in Japan to reboot the Japanese mixed martial arts market. I would like a title match against a fellow Japanese fighter. Following the 31 March card at the Ryogoku Kokugikan – already stacked with four World Title bouts – ONE will return to The Land Of The Rising Sun on 13 October for ONE: GREATNESS UNLEASHED. 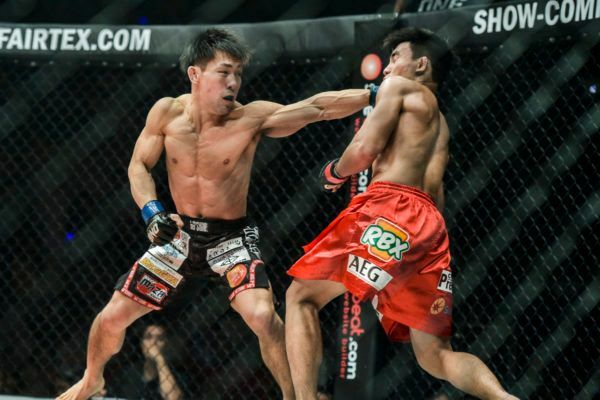 If “Tobizaru” can defend against Pacio in the coming months, he could set up a fascinating clash in his homeland, but he recognizes that it will not be easy. “It will be hard to maintain my belt, but I’m looking forward to facing new opponents as it will help me grow,” he adds. 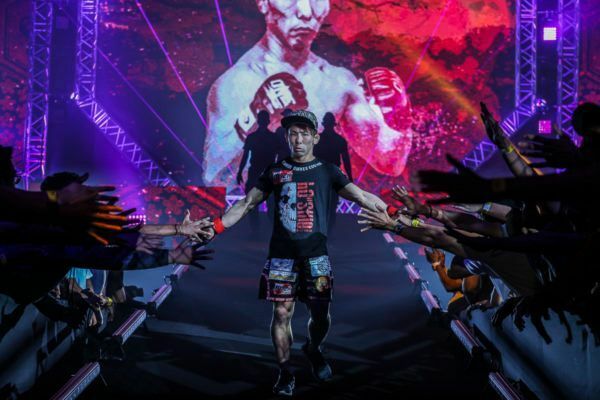 Saruta is leading the charge for the Japanese in The Home Of Martial Arts, and the future of the strawweight division is exciting with him at the helm.